The url that should be used depends on the manufacturer of the camera. You can find out entering the camera system with Firefox, clicking the right button on the camera and click “page properties” then the “media” tab, you get the complete url. Another option is to open the html and look for the url. 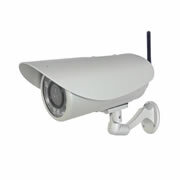 HD ip cameras generally use the RTSP protocol.